General Dentistry in Cockeysville, MD. General dentistry is our specialty, and our entire team is dedicated to making your visits as comfortable and pleasant as possible. Call today to schedule your appointment. We guarantee that by calling the office of Christopher G. Stuzynski, D.D.S., you’ll find a dentist in Baltimore County that you can trust. A denture is a removable appliance that replaces missing teeth and/or surrounding tissue. A crown (cap) is a restoration that encases the entire tooth restoring it to its original shape and size. Dental implants are biocompatible titanium replacements of a tooth's root. A composite or resin (tooth colored) filling is used to repair a tooth that is affected by decay, cracks or fractures. A dental bridge is composed of crowns and whose purpose is to replace missing teeth. Veneers are a thin facing made of porcelain bonded onto anterior (front) teeth for cosmetically restoring or improving a patient’s smile. Root canal treatment is done to the inside of the tooth (endodontic) and is necessary when the pulp becomes inflamed or infected. Our goal is for children to see dentistry in a fun and positive way because this promotes good habits of oral care that last the rest of their lives. Periodontal "around the tooth” disease attacks the gums and the bone that support the teeth. Dr. Christopher G. Stuzynski, D.D.S. Dr. Stuzynski is a graduate of the University of Maryland School of Dentistry, the oldest and one of the best dental schools in the country. Dr. Stuzynski has been in practice for several years, and has completed many postgraduate courses in a variety of fields of dentistry since receiving his DDS degree. His emphasis on patient comfort, as well as keeping up-to-date with the latest advancements in dentistry enables him to provide his dental patients with the best quality of care in the field. After a complete and thorough examination, Dr. Stuzynski will review all X-rays and findings and discuss treatment options so that you can make an informed decision. The best part? Dr. Stuzynski is the only Doctor you will see at our Cockeysville office. And, he only has one, incredible hygienist. We want to make sure your experience here is a more personalized one, versus the “assembly line feel” of most practices today. Dr. Stuzynski’s team works along with him to bring top-notch service to dental patients in the Cockeysville area. 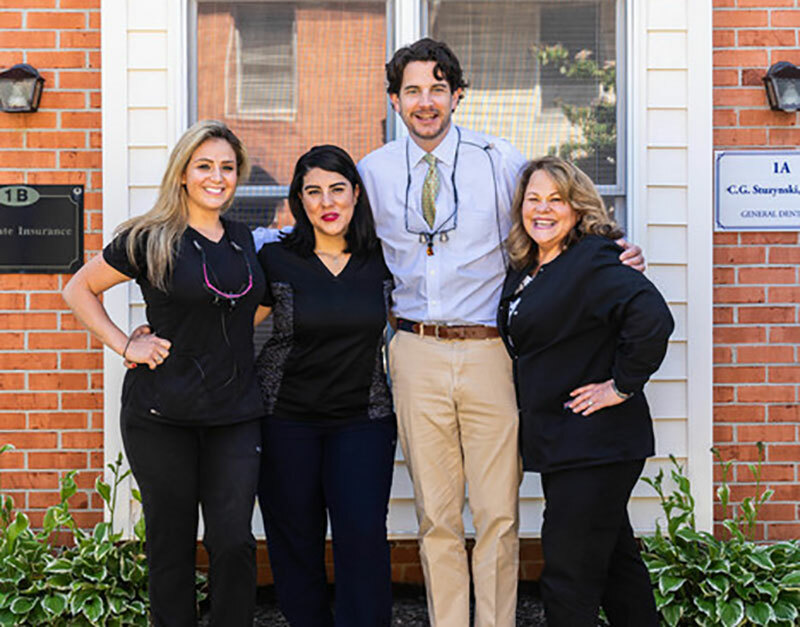 Everyone in our Cockeysville office strives to provide our patients with the greatest experience − one filled with comfort, friendliness, and lasting dental health. It’s no accident our office is consider one of the best in Baltimore County. There are key areas our team focuses on to turn that dreaded dentist appointment into a trip to the dentist that you feel great about. This is what our team consistently practices and promises to our patients in their dental experiences at the office of Christopher G. Stuzynski, D.D.S. Dr. Chris is a fantastic dentist, very professional and personable. You will get in him a dentist who knows exactly what he's doing and a person who genuinely cares about his patients.